Did you know? According to studies and Businessinsider.com, impressions are formed within seven to 17 seconds of meeting a person; and 55% of a person’s opinion is determined by physical appearance. Suit: A two-piece skirt-suit is most standard and is the best choice. Wear it with a silk or collared blouse underneath. Make sure your outfit is well ironed and your undershirt is clean and well pressed. Color: Black, grey, or dark blue are standard, but don’t be afraid to have fun. Show your personality, just ensure that your clothes are not the only thing they remember about you. Shoes: A heel is traditional, in black or a neutral color. Make sure your shoes are clean and not in bad shape. Accessories: Keep accessories to a minimum but also don’t be shy to show some personality. Don’t overdo it with the perfume! Take out all piercings aside from earrings if it is a very professional working environment. In addition, no undergarments should be showing. A neutral bra is important. Bag, briefcase or folder: Your resume should be inside one of these, never in a bulky purse or a backpack. Your bag should act as a supporting role. Suit: A traditional pantsuit is most standard. Wear it with a collared shirt underneath. A tie is optional depending on the circumstances. Color: Black, blue, or grey. Don’t waiver from this. Shoes: Clean and shiny shoes in black or brown are always good. Accessories: Cuff links and minimal jewelry are key here. Go light on the cologne. Take out all piercings. Bag, briefcase or folder: Your resume should be inside one of these, never in a backpack. Men do not need a bag or briefcase, but it is a good option that could help you appear more professional. To note: The guidelines above are open to interpretation, and obviously dependent on where you are interviewing. However, we do always suggest that you dress one step above the environment you will be going into. Wear minimal makeup, perfume, and accessories. You want your skills and personality to stand out and be the lasting impression, not your bling. Follow the traditional style guidelines for women/men when appropriate. Wash and brush your hair; clean your teeth (this may seem basic, but, hey, we’ve seen it all). Update your look from your last interview 10 years ago. The fashion world is always changing. Wearing something current and sharp (but not overly-trendy) can help you, especially in the creative field, as interviewers tend to pay attention to this kind of detail. Wear a watch. This shows that you care about being on time and that you may have another interview to go to afterwards. Wear lots of makeup, perfume, and accessories. Wear jeans or any denim. Ever. Even if the person interviewing you is wearing them. This looks like you did not make the slightest attempt. We wouldn’t recommend jeans even for the most casual interview. Wear heels you can’t walk in. You want to come across as natural and comfortable. Remember that not all interviews require a suit. Use your best judgment when it comes to each situation. 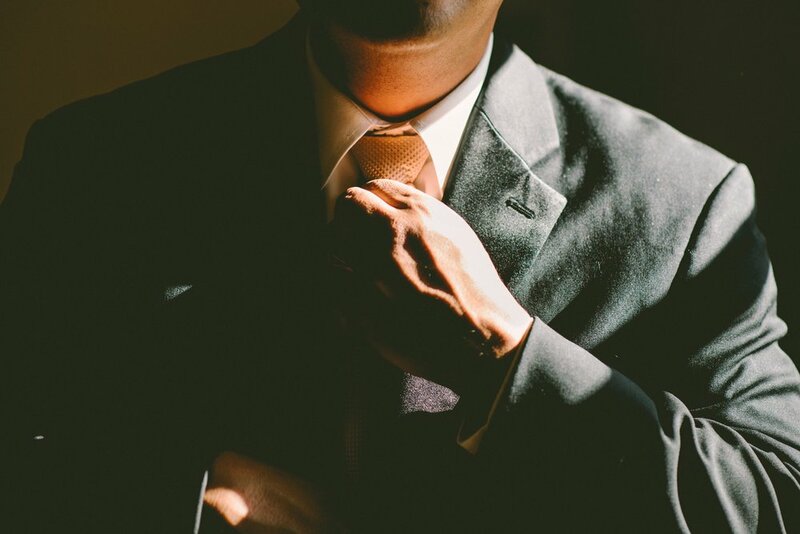 If you are meeting a person for coffee, from a company which you may want to eventually work for, be aware of your appearance but don’t feel the need to arrive in a suit. If your appearance is what they remember, you went wrong somewhere. Dress a bit more formally than you think you need to. Even if the company is “casual” your interview is not a time to “fit in”. It’s all about the details: a nice manicure, clean fingernails and making sure your buttons are done up will give you that extra edge over the next person. Do a “test dress” the night before so you know everything is in line for the big day. Google the company where you are being interviewed beforehand to prepare an intelligent list of questions. Find out as much as you can. Arrive early (10 minutes or so is enough). Employers view this as a fantastic thing! If you happen to arrive very early, sit in a coffee shop until 15 minutes before. Don’t mess up the interviewer’s day by arriving 1 hour before. Bring in something to write with and take notes. It shows you are prepared. People often ask us when to bring up the salary, as we know this is one of the most important factors in your job search. Typically we say that if the interviewer brings it up and asks you about this in the first interview, then it is great to discuss it. But if they don’t ask your salary requirements, you need to wait until the second interview to discuss the topic. If they have invited you back for a second interview, they believe in your preliminary value and it is therefore appropriate to bring it up at this point. Make good eye contact and really listen to what the interviewer is saying so you can give meaningful feedback. Make this a conversation. Give yourself positive affirmations before an interview. You have to believe in yourself and exude confidence. “What are the qualities in a person that you value most for this position? Within 24 hours write a hand written thank you note to each person that interviewed you on appropriate stationary. Feel free to email any follow up questions about the company or position as this shows that you are thinking about the position. If appropriate, within 1 week of the interview or email employer seeing where they are at in the hiring process.